Donna Schafer's Stamping Station: Fun with Word Bubbles! Hi Stampers! Long time, no blog! I'm sorry for my lack of postings. I have not had a lot of time for my business over the past couple of months. I've had a bit more time to play lately, so I thought I'd share a couple of cards I've made using the Just Sayin' stamp set and matching Word Bubbles framelits from the Occasions mini catalog, along with the beautiful Sweet Sorbet Designer Series Paper from the Sale-a-bration catalog. Colors: Sahara Sand and Pool Party. 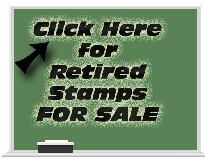 Stamps: Just Sayin'. Accessories: Word Bubbles Framelits, Scalloped Tag Topper punch , Scallops embossing folder, (all from the Occasions Mini Catalog), Sweet Sorbet Designer Series Paper (Sale-a-bration catalog), Whisper White Baker's Twine. Colors: Basic Black and Pistachio Pudding. 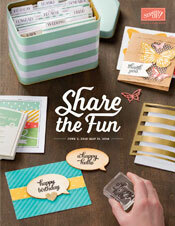 Stamps: Just Sayin' (Occasions Mini catalog). Accessories: Word Bubbles Framelits, Fringe Scissors (both from Occasions Mini catalog), Chevron Embossing Folder, Sweet Sorbet Designer Series paper (Sale-a-bration catalog), Banner Punch (Sale-a-bration catalog), Basic Black brad. I hope you enjoy these samples and that they inspire you to make some cards today! View the Occasions Catalog and Sale-a-Bration catalog here. Don't forget: Now through March 31 - FREE Sale-a-bration item with every $50 product purchase. Place an order online anytime in my online store. So very great to get to see some new examples. Looking forward to seeing some more. Great use of all the new products. Hope you had a lot of fun stamping. Hope to see you soon.